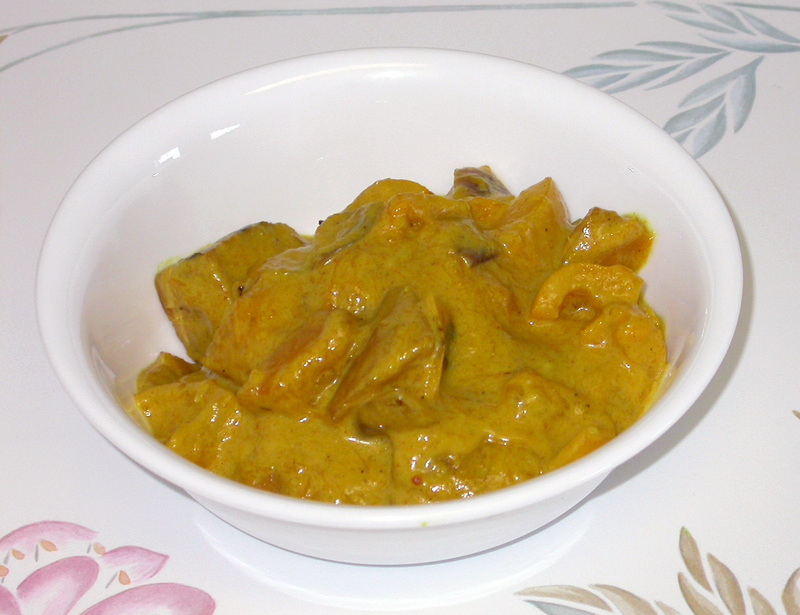 Stir in coconut milk, 1 cup mangoes, pineapple juice, curry powder, salt, and tempeh. Cover, and bring to a boil. Reduce heat to medium-low, and simmer 5 minutes. Uncover, and simmer 10 minutes more, or until thickened, stirring occasionally. Top with remaining mango cubes and chives, and serve over rice. Coconut milk and Fruit are what distinguish Thai curries from their Indian and Asian cousins. Frozen mango cubes can be found in the Freezer section of most large supermarkets and work well in this dish.